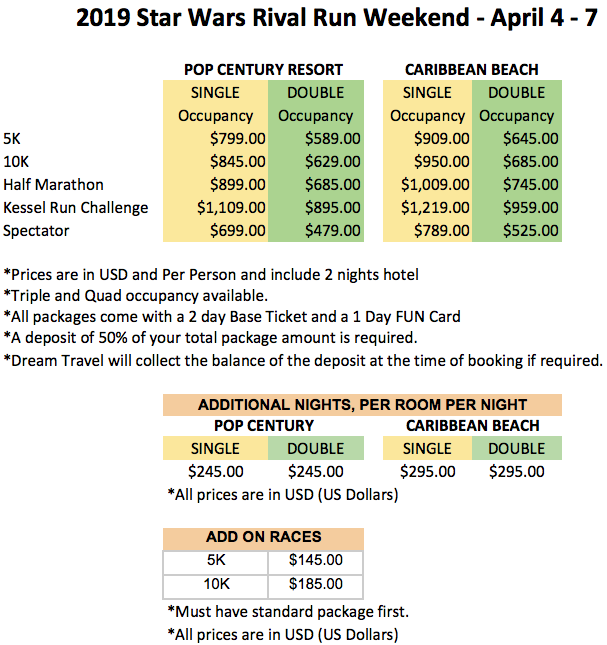 Dream Travel and the Running Room are proud to bring you guaranteed entries into the 2019 Star Wars Rival Run Weekend! It's an epic race event featuring some of your favorite Star Wars rivalries from across the saga, with distances geared for all skill levels. You won't want to miss your chance to be a part of this unique Star Wars adventure where you'll encounter characters from a galaxy far, far away along the course as you journey to the finish line to earn one-of-a-kind medals! 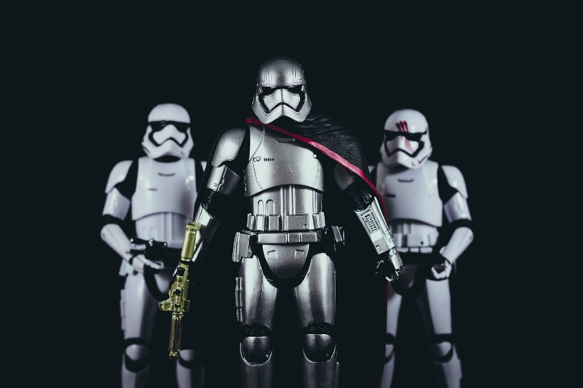 Which side of the Force will you run for? We have guaranteed entries into all events, but they are extremely limited. Book now to avoid disappointment! Run with confidence knowing that 2019 marks Dream Travel's 15th year offering race packages to Canadians. We're your local experts and are excited to be providing you guaranteed entries into the 2019 Star Wars Rival Run Weekend! Fees are in US Dollars. These are deposit amounts. Our packages include guaranteed entry of your choice, 2 nights hotel, a 2 Day Base Ticket and a 1 day FUN Card. Additional or longer passes and/or hotel stays may be purchased. We can also offer airfare options if you wish. After you register Dream Travel will contact you to complete your registration process via the email address you provided. 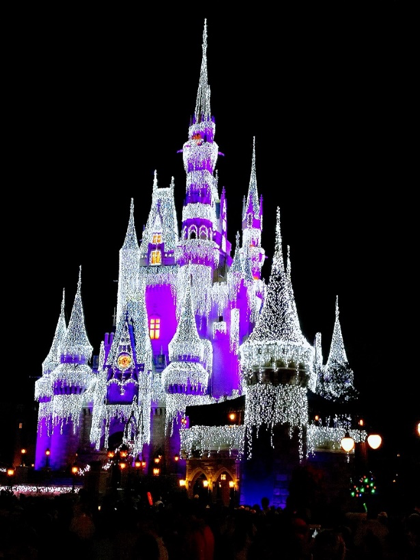 As a 50% deposit is required by Disney, Dream Travel will collect the balance of your 50% deposit at the time of booking if required. Please note that the insurance coverage that you may have on your credit card may not cover you completely! We are unable to process insurance for those living in Quebec Ã¢â‚¬â€œ please contact your local travel agency for coverage. Travel insurance, airfare, meals and items of a personal nature are not included in your package. All runners must attend the Expo in person for race bib and packet pickup. All entry packages include 2 night's hotel, a 2 Day Base Ticket and a 1 day FUN Card! Prices are in USD (US Dollars), Per Person and include tax. Triple and Quad occupancy available. A deposit of 50% of your total package amount is required. Dream Travel will collect the balance of the deposit at the time of booking if required. 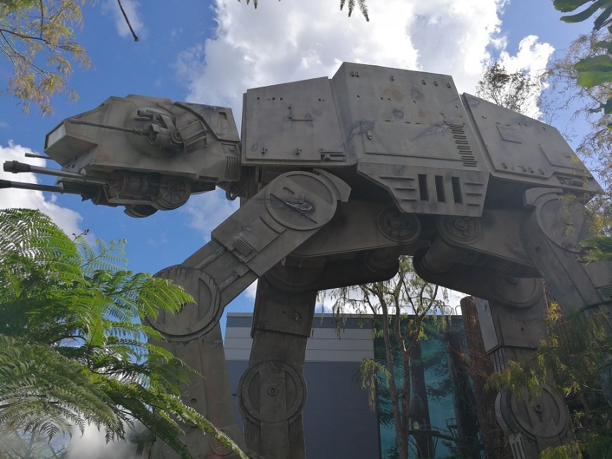 Star Wars Rival Run 5K : Friday April 5, 2019 @ 5:30 A.M.
Star Wars Rival Run 10K : Friday April 5, 2019 @ 5:30 A.M.
Star Wars Rival Run Half Marathon : Friday April 5, 2019 @ 5:30 A.M.
runDisney Kessel Run Challenge : Friday April 5, 2019 @ 5:30 A.M.